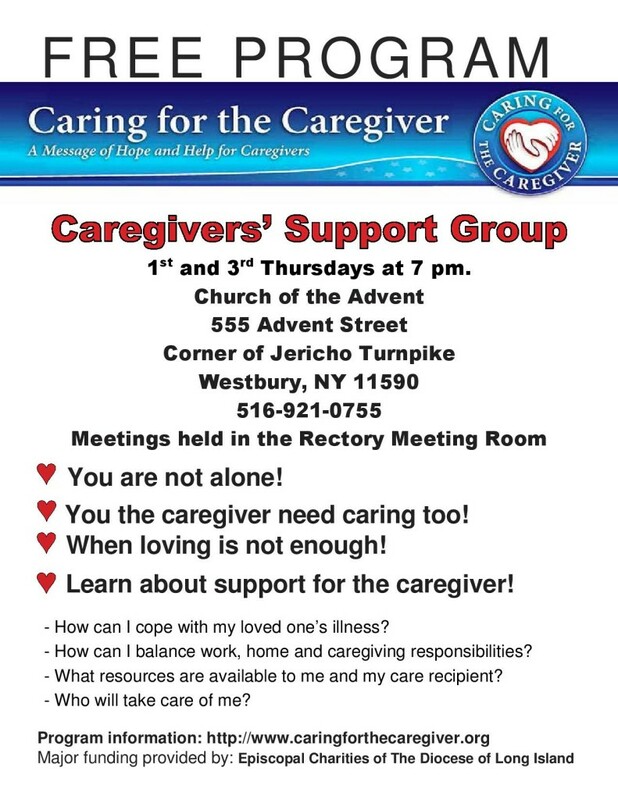 1st & 3rd Thursday of the Month at 7:00 – 8:00 p.m. Meetings will be in the Rectory Dining Room. All caregivers are welcome. Meetings: 2nd & 4th Saturday of the Month at 9:30 a.m.